All Suites overlook the pool and gardens and have a lounge area and en-suite bathroom with separate bath and shower. 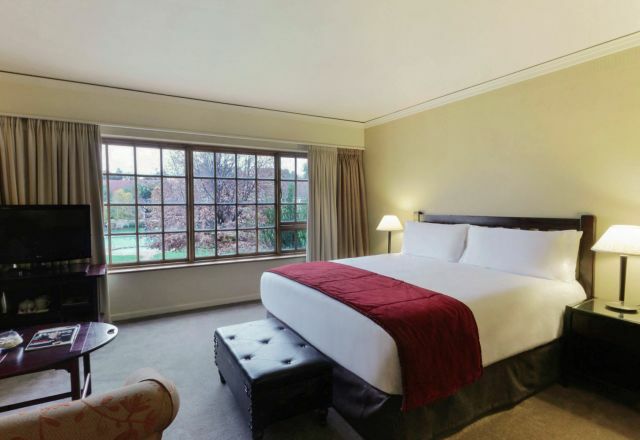 Our luxury accommodation is equipped with tea and coffee making facilities, espresso machine, television with DStv and DVD player, free WiFi and other amenities that enhance your time in the Free State. All Suites overlook the pool and gardens and have a lounge area and en-suite bathroom with separate bath and shower.